So, you found an adoptable you fell in love with? Â That’s great! Â Whether you fell in love online or at an adoption event the process is the same. Step One: Â Fill out an Adoption Application HERE. One of our volunteers will review your application and do a vet reference check. Â If you currently are renting, we will need to verify that pets are allowed and if there are any breed or size restrictions. Â If you are a young adult living with roommates or family members, we will need to speak with everyone in the home. Â We know waiting for a response is the worst part, and please know that we try to process applications as quickly as possible! Â Typically a response can take up to 3 days. Â Please keep in mind that most of our volunteers have day jobs and social commitments which don’t always allow an immediate response.Â Contacting the rescue with follow-up emails and calls during this waiting time will slow down the process for everyone. Â Making sure you provide complete and accurate information can help the process go smoothly. Please note: Â The rescue’s policy is that we do not adopt to homes that have unspayed/unnuetered pets or pets who are not up-to-date on vaccinations. Â All of our adoptables Â are required to be indoor pets only. 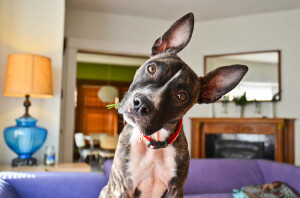 Once your application has been reviewed, one of our volunteers will call you to ask any questions they may have about training, prior/current pets, life style, etc. Â This is also a great opportunity to ask any questions you might have about your potential new family member! A home visit isn’t required for every adoption, but often we like to do one if there are children or other pets in the home. Â We feel it’s important to make sure everyone falls in love and are a good fit. Â A home visit doesn’t mean that the adoption is guaranteed approved, it’s just part of the “getting to know each other” process. Â A pet is a commitment that can last for over a decade depending on the adoptable’s age. Â With that in mind, we try to be as thorough as possible to make sure it’s a great match for everyone! Step Four: Â Adoption Approved! Congrats! Â Your application has been approved! Â Once all criteria has been met, an Adoption Agreement will be signed. Â At this time the adoption fee is payable in cash only. Â For questions about the Adoption Agreement, fees, and more, please check out our FAQs.